I started doing a little bit of prep work this week for Candlemas, or as it is affectionately known in my house, Half Winter. February 2 marks the halfway point between winter and spring. It is celebrated as Candlemas or St. Brigit’s Day by Catholics, Imbolc by many pagans, and Groundhog’s Day by many Americans. 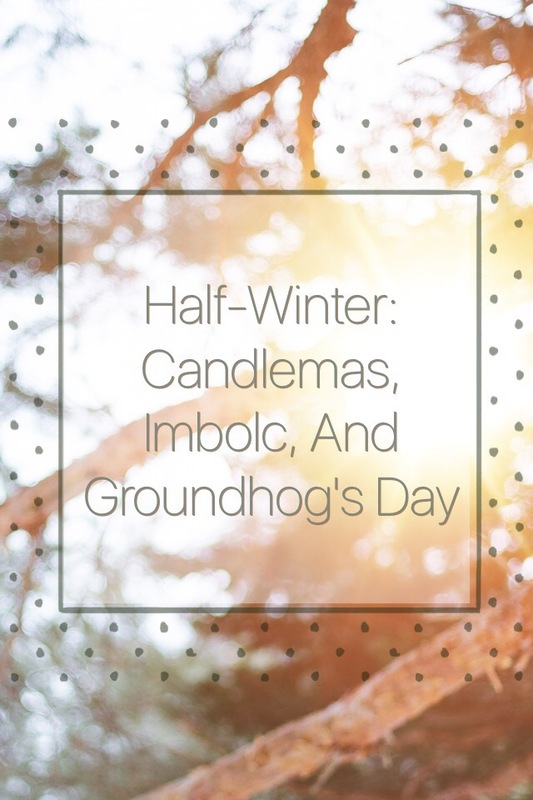 We celebrate with a bit from each, making candles and eating cream heavy foods while talking about what the groundhog has predicted for the weather. This week I’ve cut beeswax into chunks for making candles. We’re just making a few simple dipped candles to light our dinner. Traditionally, people would bring their candles to be blessed on Candlemas. I also found the ramekins to make creme brûlée, and the recipe for bannock bread, which spring from the story of the goddess Bride, who is a central part of Imbolc. This celebration of festivals is one of my favorite ideas from Waldorf philosophy. Humans thrive on ritual, and adding space for contemplation and togetherness is an important part of our family rhythm. So on February 1 after the sun sets, we light our dinner with handmade candles, and talk about what the spring will bring and what we are looking forward to in the warmer weather. It’s a nice moment to regroup and exhale, and just enjoy each other for a moment. You still have time to celebrate! Light a candle, use some milk, and set aside a moment. It doesn’t have to be any more complicated than that for everyone to benefit from observing the day. Low key festivals are a great way to start incorporating a rhythm to your year.